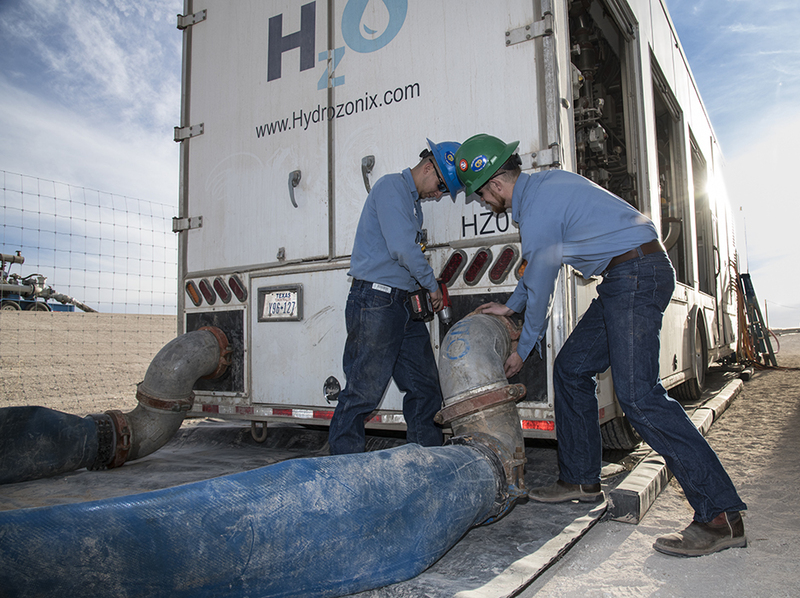 Hydrozonix onsite services include water recycling and reuse as well as optimizing storage and transfer through aeration and automation services. We work with operators to coordinate all water management steps so we can combine superior tanks, pumps, transfer lines and impoundments with our advanced water treatment technology, while automating the entire process. The Hydrozonix engineering team and senior field supervisors are directing trained field crews that have managed water transfer, storage and recycling projects for both U.S. majors and independents. Hydrozonix integrated water management solutions can save operators money through improved operational efficiency, automation, reduced cost and higher levels of water recycling. With extensive experience in five U.S. basins, our water management team understands every step of the frac water cycle. Our custom-designed programs include innovations to control water quality, improve efficiency and reduce costs from water sourcing through reuse. Our senior field supervisors coordinate all water management activities to save time, prevent spills, optimize water use, minimize waste and save money. We have built a reputation for providing safe, dependable and quality service to major and independent operators across the United States. 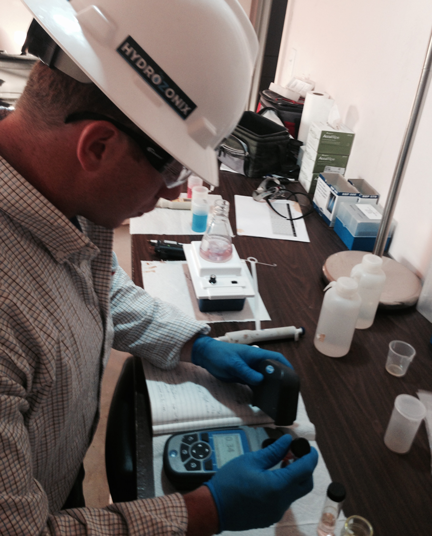 The Hydrozonix commitment to quality extends to the equipment and processes we provide for treatment and recycling. We can provide high-quality lined impoundments, above-ground storage tanks, transfer lines, pumps and related services to take full-scope responsibility for your water management needs. Managed projects for majors and independents across the U.S.